A quick look at the best bits of my week! But I think the best buy of the week came from a little day trip to the lovely East Kent coast town of Ramsgate. Passing a little local shop, which looked like a poor version on CEX, windows full of stolen mobile phones etc., Pamela convinced me to have a look inside and boy am I glad she did. Tucked in the corner I spotted a bunch of ZX Spectrum gear. The guy wanted £1 each for any of the games, and about £20 for a Speccy+2. I passed on the console, already having a number in the loft, but many of the games were well sort after. 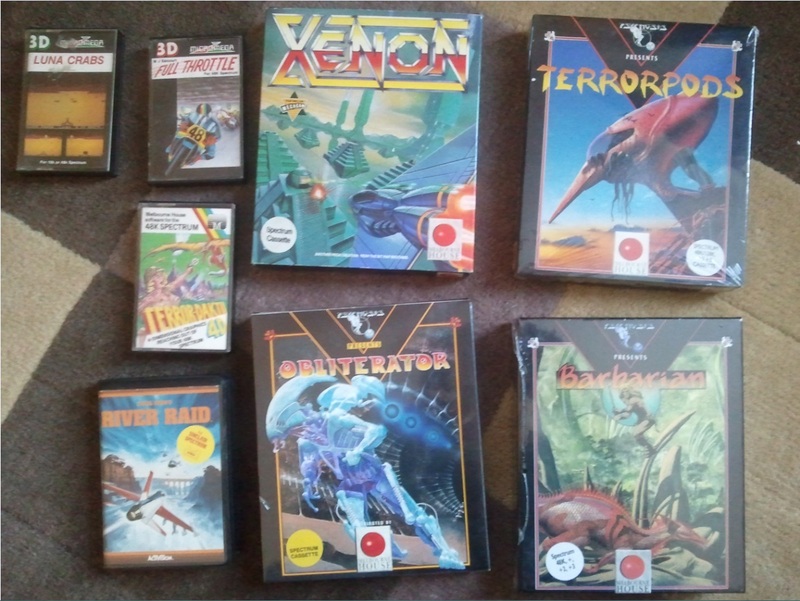 At the top of the pile my eyes shot out on storks when I saw 3 Psygnosis/Melbourne House games were still SEALED! – Double-megaboner-w00t! I ended up walking out of the shop with 17 infamous games, for £15. The guy gave me a £2 discount for being such a good customer! A fine haul I think! Another great discovery of the week was that the rather awesome Commodore Amiga emulator, UAE4Droid, is now – as the name implies – available for Android phones. So I can play Chaos Engine! on my mobile phone! 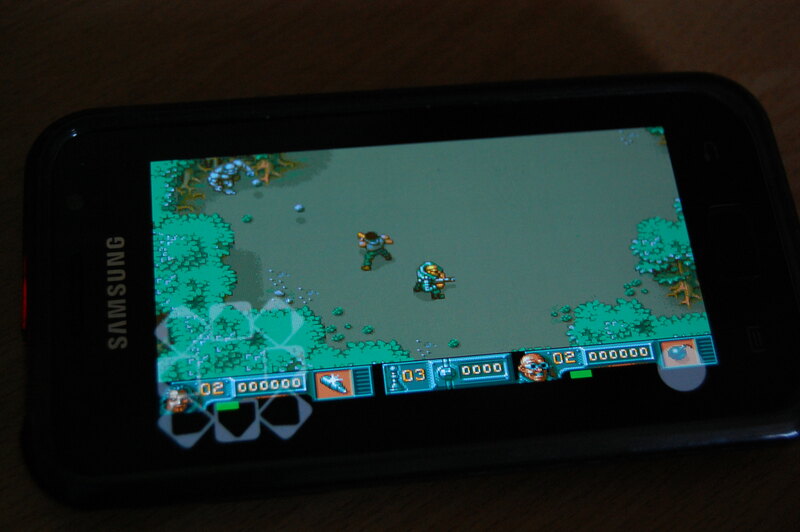 The controls take a lot of getting used to, and would be much nicer playing it on a 10.1 android tablet. This has also definitely helped me decide whether I need a Samsung Android Tab or the iPad2! Android wins and will get my money! Now, at time of typing, I notice the PSX (PS1) emulator is also working on Android, so I’m off to install Final Fantasy 7 and RollCage. Hopefully more to report next week. Thanks for reading and go have a great week! This entry was posted in computing, gaming, Me, old, retro and tagged amiga, bitmap brothers, chaos engine, ebay, melbourne house, psygnosis, retro, sinclair, spectrum, zx81. Bookmark the permalink. That’s true! 🙂 Preservation it is!